Handbag lovers the world over have been waiting with baited breath to see what Mulberry will come up with as a more affordable line - and I'm pleased to report the Tessie collection doesn't disappoint! Mulberry have returned to their roots with a collection of high quality leather handbags inspired by styles from their archives. 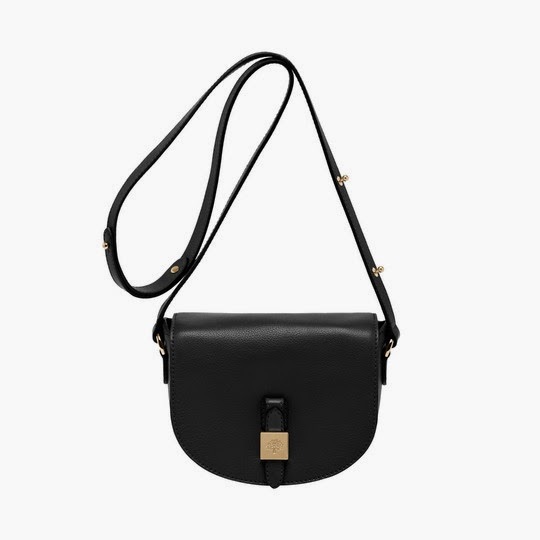 That means simple saddle bags, satchels and totes similar to those produced back in the 70s, but updated for the modern Mulberry buyer with a taste for minimal, sophisticated styling. The bags are available in black, brown and red leather finished with chic gold hardwear - embossed, of course, with the Mulberry tree (a sure sign of a must-have if ever there was). With prices starting at £495 for the small Tessie satchel (pictured left) I'm sold! Are you? Ashish x Topshop: Flashy or Trashy?